Hohner Diatonic 14 Day Replacement and 90 Day Harmonica Warranty - Hohner harmonicas and melodicas are warranted to be free from manufacturing defects and properly tuned at the time of purchase. 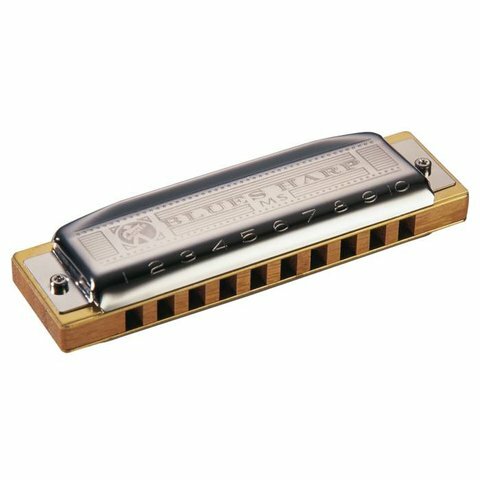 Any instrument found to contain manufacturing defects or other noticeable imperfections will be, at Hohner's option replaced at no charge provided the harmonica is returned to the place of purchase within 14 days of the original purchase date. Concurrently the instrument will be, at Hohner's option repaired or replaced provided the harmonica is shipped to the Hohner Service Center within 90 days of the original purchase. Proof of purchase and service form is required. Click here to submit a harmonica for warranty service. This warranty excludes all consequential damages. It does not cover damages resulting from accident, misuse, normal wear and tear or tampering. Some states do not allow the exclusion or limitation of incidental or consequential damages, so the above limitation or exclusion may not apply to you. This warranty gives you specific legal rights. You may also have other rights which vary from state to state.